You've read (and loved) The Hobbit, by J.R.R. Tolkien... So what fantasy novels or series should you read next? Here are a few recommendations that will take you away on adventures you'll never forget as well as a few books that help explain some of these works. After reading The Hobbit, the natural next step is to read J.R.R. 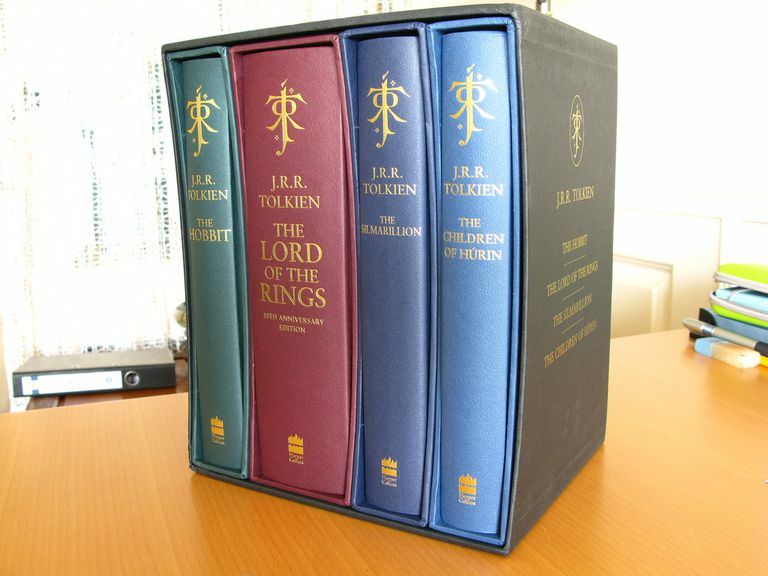 Tolkien's famous trilogy, The Lord of the Rings. The follow-up to Bilbo's grand adventure starts with The Fellowship of the Ring (1954), as we meet Frodo (Bilbo's nephew) and his friends. With The Fellowship of the Ring, and the next two novels--The Two Towers (1955) and The Return of the King (1955)--Tolkien created an unforgettable epic. If you loved The Hobbit, you will most certainly enjoy the rest of the story! The Silmarillion is a collection of stories written by J.R.R. Tolkien, but only collected and published by his son in 1977 (after Tolkien's death). Heroes come to us in our greatest myths and legends. They are persons of extraordinary strength and courage, often sacrificing their lives and freedom to save the land and people. Anne C. Petty explores the history of heroism in Tolkien's Middle-earth with her book, ​Tolkien in the Land of Heroes. The Chronicles of Narnia is a 7-book set by C.S. Lewis that includes ​The Lion, the Witch and the Wardrobe, Prince Caspian, The Voyage of the Dawn Treader, The Silver Chair, The Horse and His Boy, The Magician's Nephew, and The Last Battle. The Princess and the Goblin and the sequel The Princess and the Curdie by George MacDonald, are considered to be children's classic fantasy novels. Beowulf is an Old English poem and one of the greatest epic tales in literary history. The Last Unicorn by Peter S. Beagle is one of the great fantasy classics. The novel follows the story of a unicorn who leaves the safety of her forest​ in search of other unicorns. Like Bilbo, she finds adventures far outside her realm of understanding and imagination. And, she is never the same again. If you get swept away in J R. R. Tolkein's fantasy novels, and want to know more about the worlds he's created, you may enjoy this book. Written by Karen Wynn Fonstad, The Atlas of Middle-Earth describes the realms Tolkein created in The Hobbit, The Lord of the Rings, and The Silmarillion. The Children of Hurin was never finished during Tolkien's lifetime, but his son finished the book and published it. Do you watch HBO's Game of Thrones? Check out the series of fantasy novels by George R. R. Martin that the popular television series was based on. Titles include A Game of Thrones, A Clash of Kings, A Storm of Swords, A Feast for Crows, A Dance with Dragons, The Winds of Winter, and A Dream of Spring.